I have this saying, the word “coach” isn’t in my dictionary. It’s true in fact. When I graduated from high school (which was a very long time ago), my mother gave me a dictionary/thesaurus for college and the word coach is missing from it. To label ourselves as a coach just isn’t good enough. To be really good at your job isn’t enough. We must really understand several things to create a powerful, sustainable practice. I roll my eyes at following overused words within the coaching industry: empowerment, lifestyle, and leadership. These are catchalls to describe something that you are offering that is much greater. One of the most important things that coaches forget is to practice what they preach. If you have created a paradigm or are utilizing another’s paradigm, it is important each day to practice it for yourself and in your own life. 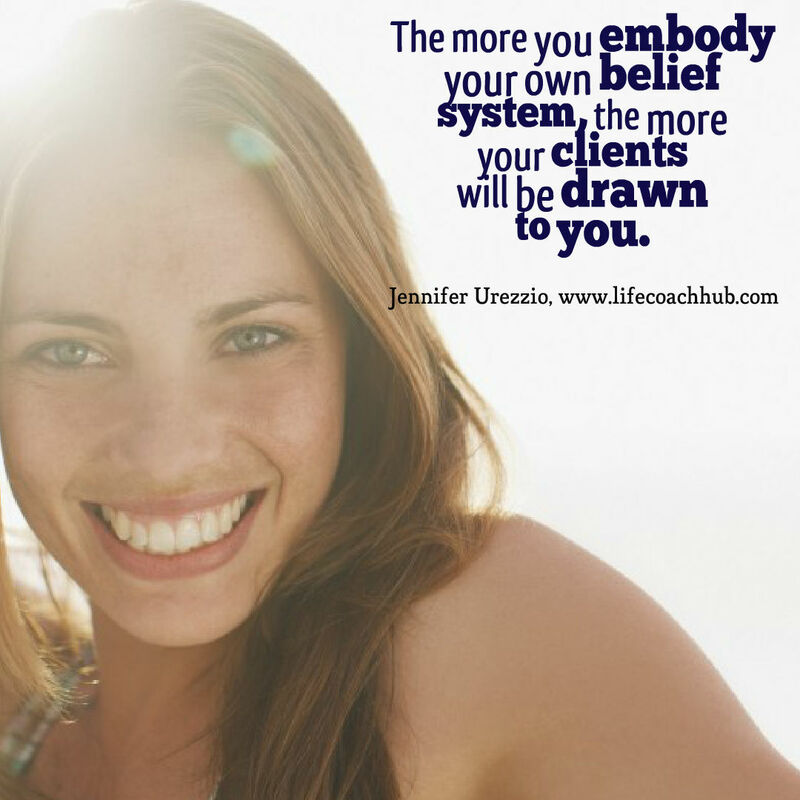 The more you embody your own belief system, the more that clients will be drawn to you (and you get to practice those actions steps of running a business). The challenge about understanding your purpose and expressing it, is that you are all “doing” the same thing. You are all reminding people that they are whole and complete. It is understanding your own brand of that and expressing it clearly that will create a sustainable coaching practice. So where do you start? I always ask this question of my clients, “What do you want everyone on this planet (including yourself) to embody on this planet?” This is part of your sacred purpose and can be conveyed to clients. Let’s use me for an example. I want everyone (including myself) to be free of suffering. Another part of your sacred work is your biggest challenge, that big theme that you have been in conflict with all your life. Remember, this big challenge has allowed you to build skills and content. Again, let’s use me as an example. My big challenge has been feeling disconnected. So my purpose is to free suffering through connection. Unfortunately, I have met too many coaches that were great in the communication process and fell short in being a role model of consciousness. If you are reading this article, I’m assuming two things. 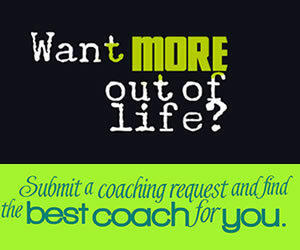 You are a really great coach and you want to expand your business to receive more. It is important to understand your community and speak directly to them. I’m not talking about talking to the pain. Talking to the pain is an outdated marketing model that is no longer working and it will create coaching relationships that are co-dependent. I’m talking about understanding your community at the core level. What do they want, need, desire, and wish to create for themselves and the world? The key here is understanding that they are just like you. Where were you five years ago with feelings, experiences, in relationships, with your money, understanding your purpose, etc? What have been your big themes of challenge and how do they relate to what you desire? Once you have a better understanding of your community, you can address them directly. It is my suggestion that you stop trying to figure out how to talk to them and just express yourself as if you were chatting with a friend. Don’t try and come up with the correct marketing language, just start somewhere. If you get locked up with writing, then record your thoughts and then transcribe them. Notice what beliefs or stories are coming up for you as you are writing your materials or creating new ones. Also, it is important to create a structure for expression. Do you like to conduct videos, write, or network? Also ask yourself how you are going to reach out and what you will offer your community each day, week, month, quarter and year. It is also important that your services and programs reflect your purpose and your community. So anything that has been created because someone told you to create it…I suggest you let it go or revisit it in a new way to “make it” yours and yours completely. To create a sustainable coaching business, you need to create structures from inspiration. My first suggestion is stop trying to find community where you think they are and start finding your community in locations that resonate with you. Remember, they are like you. So what do you like to do? What are you interested in and what excites you? Do you like long sales pages or do you just jump down to the end? Another suggestion is to step out of your comfort zone. Try that networking event that talks to your creative side instead of going to one that already might be filled with coaches. The best dating advice I have received was to just be yourself. It applies here as well. Each one of us is responsible only for how we respond to events in our own lives. If you are taking on your client’s responsibility for their choices, then you will be setting up a practice based on disempowerment. Our role as coaches, mentors and guides, is to provide support, guidance and to offer our clients opportunities that their fear is blocking them from seeing. I have had clients where I have recommended that they connect with a therapist or psychologist because that is the skillset their challenges required. What or who am I blaming for this situation? How can I respond differently to this situation? I believe that individuals who are creating a coaching practice are doing so because they want to be of service and help change the world. In order to transform the world, we must first begin with ourselves. If we forget that we set up this coaching practice to also be of service to ourselves, our business becomes a house of cards. There are many structures that businesses need in place, in addition to a business ID number or a company logo, to be successful and sustainable. I suggest you imagine yourself as a client and go through the client experience from start to finish. 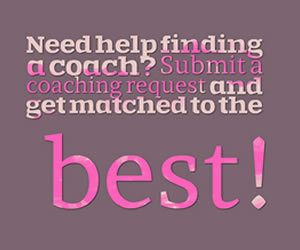 You can do this even if you have had a coaching practice for years. What are the values of the business? What is the customer experience with the business? What ongoing communication do they receive from the business? What’s the theme of the brand on social media? Do you have a place to receive feedback from your clients? When we put ourselves in the client’s seat, it allows us to not take our business so personally and to create the changes that will lead to bigger success. What I notice from coaching clients is that they are thinking about their business all the time, but in the wrong way. They are thinking about where the next client is coming from instead of focusing on the big vision for the practice, and what can I do today, tomorrow, next week, this month, this year to bring that vision alive. I love that this is my own business and I get to create the rules. What I forget about is how often I have broken those rules where it didn’t serve me. For instance, making allowances for clients about money and missing multiple session times. For your business, you may find that it helps to utilize some structures that are from other types of businesses. For example, you would never go get your haircut and ask if you could pay a week later, or have a spa appointment and expect to pay at a later date. You are in charge of your business and you make your own rules. And, if you break those rules, recognizing if those results support you and the business. When I started my practice, talking about the money got harder. All your self-worth issues are going to come up when you begin to charge for your services. So you need a plan and strategy that suits your beliefs and core values. Understand your own relationship with money and value before having money conversations with your clients. Have a set services and offerings, so that you feel secure about what you are proposing for your clients. Above all, listen to what the perspective client is saying to you and do not make any assumptions or judgements around what your possible client does or will do with their money. Coming from a place of lack can put a monkey wrench in your receiving. Remember that each client and possible client is not your Source. These individuals are a resource for you, a resource to be of service and to receive from your gifts and talents. Keep reminding yourself of your purpose and why you decided to be a coach. We are receiving all the time, but sometimes we aren’t receiving what we desire. So what ongoing practice are you doing to open up your receiving? There are a number, from a practice of gratitude, to being clear by writing out an order form to the Universe. We create businesses to do something bigger, first for ourselves and then for others, so anything in conflict with that bigness is going to rear its ugly head. Accepting that you are good at your job is only half the battle in creating a sustainable coaching practice. It is important that you treat your business as if it is a business, and in those areas where you feel that you require support, it is important that you reach out to resources that can lend their own expertise. Jennifer Urezzio specializes in helping people connect – to themselves, to each other, and to the Divine. She founded a new paradigm, Soul Language, which provides guidance for understanding our true nature and tools for accessing deeper levels of awareness. This new insight into how the Soul expresses itself is being embraced by top healers, lifestyle coaches, and CEOs all over the world as a method for helping people recognize their purpose and live from a place of power and truth. Jennifer is the author of two books: Soul Language: Consciously Connecting With Your Soul for Success and A Little Book of Prayers , both available on Amazon. To learn more visit: www.SoulLanguage.us. I always think it difficult to find people, who are interested in your business, no matter what it is. Even if you find yourself a great coach, you won't realize yourself without a strong person's support. It is one of the thing that motivates you to become better every minute.